Evolutionary Astrology, by my father Jeffrey Wolf Green, is a collection of lectures and articles from many of his different books that I have put together in one book that will allow the reader to access and become familiar with the nature of Evolutionary Astrology that was brought forth by him in 1978. Evolutionary Astrology transformed the world of astrology and since that time has spread around the entire world. There is no other type of astrology that is able to understand and measure the evolutionary progression of the Soul from life to life. Astrology in general is a descriptive kind of astrology that is unable to understand the why of anything that it is describing. 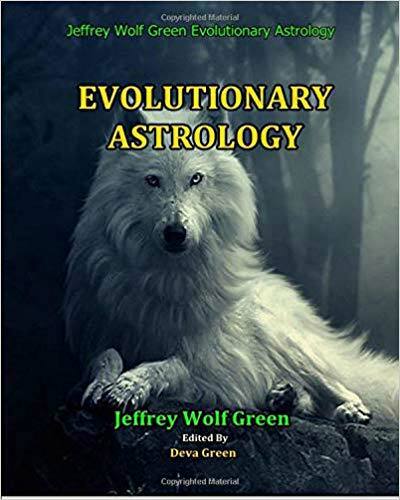 Evolutionary Astrology, the evolutionary journey of the Soul, provides, for the first time, an understanding of the ‘why’ of any dynamic within the consciousness of the Soul relative to the understanding that we are all responsible for that which we create.